All learning of sophisticated ideas and practices benefits from feedback and guidance from a more expert other. Formative assessment is a powerful way to use student performances of understanding to gauge and guide their future learning. But there is a mis-perception that all assessment must take some kind of formal approach—like a test or quiz. 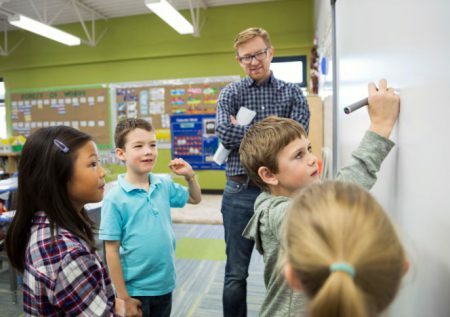 In this research brief, researchers summarize an article that highlights a powerful model of informal formative assessment that involves teachers engaging in conversations with students and carefully listening to their ideas and using that information to guide instruction.